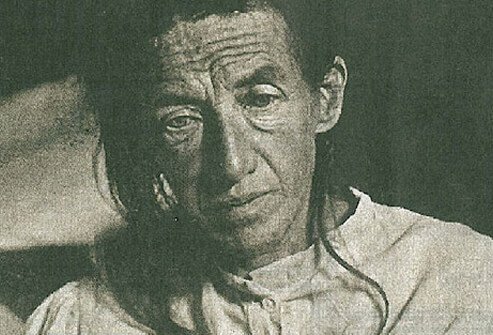 In 1906 Auguste Deter, a woman in her early 50s, became the first person diagnosed with Alzheimer's disease, a form of dementia. The disease is named after the doctor who first described it, Alois Alzheimer. The disease is characterized by odd behavior, memory problems, paranoia, disorientation, agitation, and delusions. After Deter’s death, Alzheimer performed a brain autopsy and discovered dramatic shrinkage and abnormal deposits in and around nerve cells. In 1910 the term “Alzheimer’s Disease” was formally used. In 1974 Congress established the National Institute on Aging (NIA), the primary federal agency supporting Alzheimer’s research. 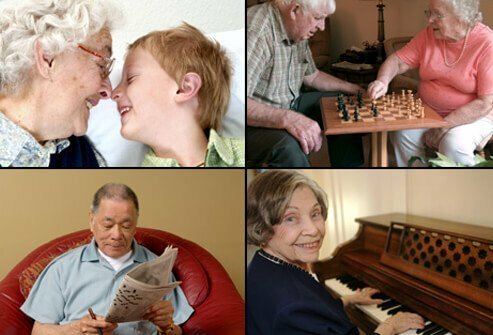 Dementia is not a specific disease, it is a broad term that characterizes many different conditions, such as Alzheimer’s disease, vascular dementia, frontotemporal dementia, and other disorders. 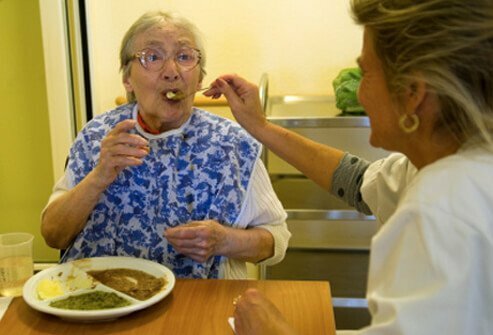 Dementia refers to a group of symptoms that can be caused by several different brain disorders. In general, dementia is characterized by impaired intellectual functioning that interferes with daily activities or personal relationships. This impairment can include memory loss, language difficulty, decreased perception, and impaired reasoning. Sometimes, people with dementia go through personality changes or develop delusions. 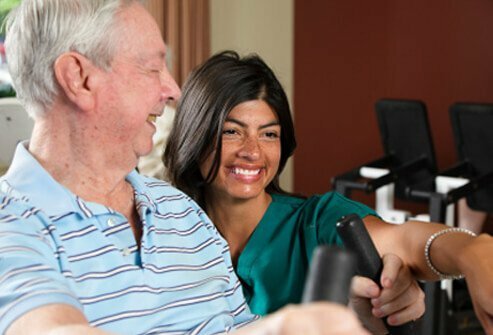 Dementia is often mistaken as senility or senile dementia which views serious mental decline as a normal part of aging, when in fact, it requires professional treatment. There are several different classifications of dementia. Dementia can be classified by either the area of the brain that is affected, whether it is progressive, or whether it results from another disorder (primary or secondary). Cortical dementias occur because of problems in the cerebral cortex, the outer layer of the brain. This type of dementia plays an important role in memory and language and people with cortical dementias usually have severe memory loss and can’t remember words or understand language. 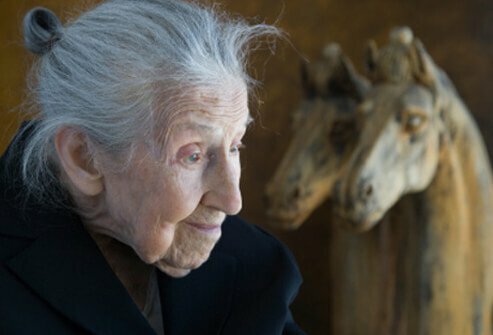 Creutzfeldt-Jakob and Alzheimer’s disease are two types of cortical dementia. Subcortical dementias occur because of problems in the part of the brain beneath the cortex. The ability to start activities and speed of thinking are usually effected by subcortical dementias. Forgetfulness and language problems are typically not developed in subcortical dementias. Parkinson’s disease, Huntington’s disease, and HIV can cause these types of dementia. Progressive dementias become worse over time and patients eventually lose more of their abilities. Alzheimer’s disease, Lewy body dementia, vascular dementia, and frontotemporal dementia are types of progressive dementia. Primary dementia patients only show symptoms of dementia. Alzheimer’s disease is a form of primary dementia, which accounts for 50%-70% of all dementia cases. A secondary dementia is a form of dementia that develops as a peripheral conditions to a pre-existing mental illness or condition. 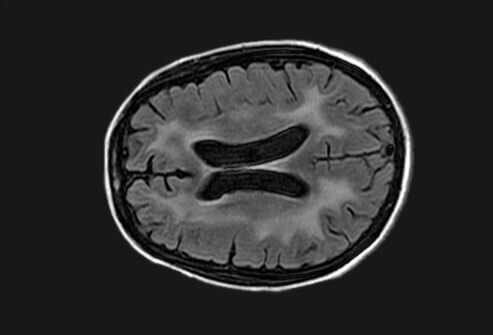 Brain infections, progressive supranuclear palsy, and multiple sclerosis are examples of conditions that can cause secondary dementias to form. Many types of secondary dementias can be stopped or reversed, unlike other types of dementias. Doctors will determine a patient’s stage by asking a variety of questions to the patient and the caregiver. The Mini-Mental Stage Examination is a screening tool used to identify cognitive decline on a scale of 0 to 30. Stage diagnosis can help the doctor create a treatment plan. There are no obvious signs at this stage and people are able to function independently. Symptoms at this stage are slight and seem to appear as forgetfulness associated with aging. The most common cause of dementia is Alzheimer's disease. More than 5 million people are living with Alzheimer's disease, and ½ million die each year from it. It is the 6th leading cause of death in the U.S., and the 5th leading cause of death for seniors 65 and older. Two-thirds of seniors with Alzheimer's are women. Up to 5% of those living with Alzheimer's have the early-onset form of the disease, and are diagnosed in their 40s or 50s. On the microscopic level, Alzheimer's disease shows up in the brain with two characteristic abnormalities: amyloid plaques and neurofibrillary tangles. 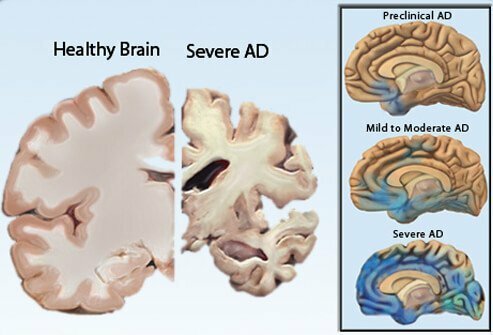 Amyloid plaques are abnormal clumps of protein (beta amyloid) found between the nerve cells of the brain that impair communication between nerve cells. Neurofibrillary tangles are damaged proteins (tau proteins) that collect into "tangles," which cause improper functioning of nerve cells, leading them to disintegrate. It is unknown if amyloid plaques and neurofibrillary tangles cause Alzheimer's or if they result from the disease itself. Patients with Alzheimer's disease suffer progressive disability over the course of the illness. Generally, patients with Alzheimer's can live from 2 to 20 years from diagnosis; on average patients’ life expectancy is 8-10 years. Alzheimer's disease usually causes a decline in thinking ability, memory, movement, and language. Bizarre, withdrawn, or paranoid behavior may also occur as the disease progresses. Early in the disease, patients may only have subtle symptoms such as changes in personality or lapses in memory. As the disease worsens, patients may experience bouts of disorientation, and may notice difficulty in performing daily tasks. In later stages of the disease, patients can no longer care for themselves, and they may become paranoid or hostile. In the later stages of the disease patients lose the ability to swallow and control bladder and bowel functions. They may no longer recognize family members and may not be able to speak. Fatal complications of Alzheimer's include loss of ability to swallow that can lead to aspiration pneumonia, and incontinence leading to urinary tract infections or sepsis (severe infection). After Alzheimer's disease, the second most common cause of dementia is vascular dementia. It is estimated that vascular dementia makes up 15%-20% of dementia cases. Unlike Alzheimer’s disease, vascular dementia occurs when part of the brain doesn’t get enough blood carrying the oxygen and nutrients it needs. Vascular dementia may be caused by brain damage from strokes, atherosclerosis, endocarditis, or amyloidosis. Structural damage to the brain tissue, either by blocked arteries, blood clots, or bleeding (hemorrhage) causes symptoms of vascular dementia. Other symptoms of vascular dementia include nighttime wandering, depression, incontinence, or one-sided body weakness associated with larger strokes. Vascular dementia almost never occurs without the patient having high blood pressure. Stroke is also a risk factor, 25%-33% of strokes are thought to result in some degree of dementia. 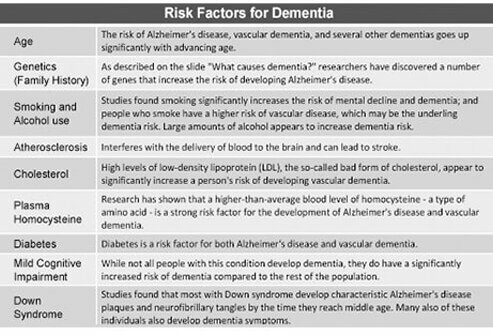 Smoking, high cholesterol, diabetes, and heart disease are also vascular dementia risk factors. Men, people between the ages of 60 and 75, and African-Americans have increased risk of vascular dementia. There are currently no treatments that can repair the damage of vascular dementia once it has happened. However, behavioral interventions can improve the quality of life for everyone involved. It may be helpful to leave reminder notes, remind the patient what day it is, and keep the patient connected to their loved-ones. If the condition that initially caused the vascular dementia goes untreated, the prognosis is not good. Eventually, untreated vascular dementia usually ends in death from stroke, heart disease, or infection. 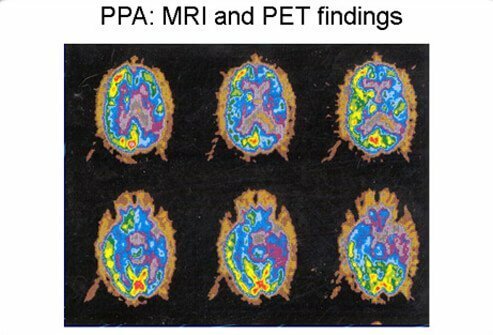 Catching vascular dementia early and preventing further damage makes for a better prognosis. One type of vascular dementia called multi-infarct dementia (MID) is caused by multiple small strokes in different areas of the brain. Other types of vascular dementia include Binswanger's disease and CADASIL (cerebral autosomal dominant arteriopathy with subcortical infarct and leukoencephalopathy). When the smaller blood vessels of the brain become blocked tiny areas of the brain, especially in the "white matter" (outer part of the brain), become damaged. These small strokes can be in "silent areas" (areas of the brain that when damaged do not show outward signs of disability), or may occur in important regions of the brain such as the hippocampus or parts of the left hemisphere where damage causes disability to be apparent. Smoking, excess alcohol consumption, poor diet, and little to no physical activity are also risk factors for MID. Treatment of multi-infarct dementia focuses on controlling the symptoms and reducing the risk of future strokes. 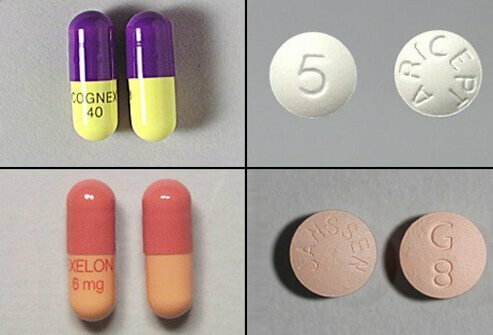 Medications may include memantine, nimodine, hydergine, folic acid, and CDP-choline. Certain serotonin reuptake inhibitors may also help neurons grow and reestablish connections in the brain. Calcium channel blockers may also be beneficial for short-term cognitive function. Regular exercise, cognitive training, and rehabilitation are also treatment options. There is no cure for MID, but patients can use medication and cognitive training to help preserve mental function. Some patients die soon after an MID diagnosis, whereas others may keep living years after. The third most common type of dementia is Lewy body dementia (LBD), also called dementia with Lewy bodies (DLB). 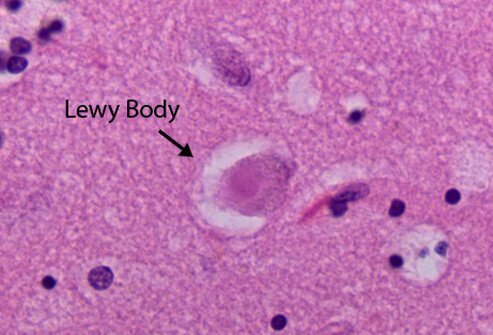 The "Lewy body" is an abnormal protein found microscopically in the brain of patients with this type of dementia. Lewy bodies are made up of a protein called alphasynuclein. When these proteins build up, they keep the brain from making the right amount of acetylcholine and dopamine. Acetylcholine is a chemical that affects memory and learning and dopamine is a chemical that affects movement, moods, and sleep. The reason for Lewy body build up is currently unknown and scientists are also unsure of why some people get LBD and others do not. 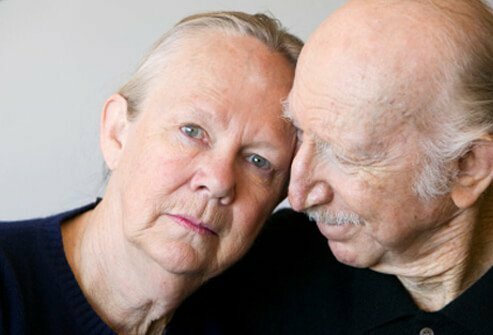 Symptoms of Lewy body dementia are similar to Alzheimer's, including impaired memory, confusion, and poor judgment. LBD may also cause depression, lack of interest, anxiety, and delusions. Patients may have problems with their sleeping pattern (REM sleep behavior disorder, trouble falling asleep, restless leg syndrome). LBD symptoms also include hallucinations and parkinsonian symptoms (shuffling gait, inability to stand straight, and shaking). There are no medications that can stop or reverse Lewy body dementia, but medications can help relieve symptoms for a few months. Donepezil and rivastigmine are medications that can help with thinking problems. Levodopa can help improve movement problems or rigid limbs. Melatonin or clonazepam can ease patients’ sleep problems. Physical therapy, counseling, psychotherapy, and occupational therapy may also be able to help ease LBD symptoms. LBD is a progressive disease and the lifespan of patients with LBD varies from 5 to 8 years. Patients with LBD may die from complications such as immobility, falls, poor nutrition, swallowing difficulties, or pneumonia. 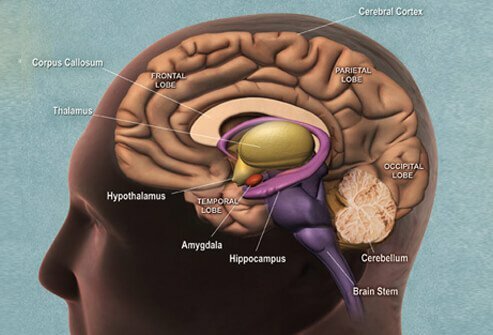 Frontotemporal dementia (FTD), also called frontal lobe dementia and previously known as Pick's disease, is a diverse group of uncommon disorders that affect the frontal and temporal lobes of the brain. The frontal and temporal regions of the brain control behavior, judgment, emotions, speech, and some movement. 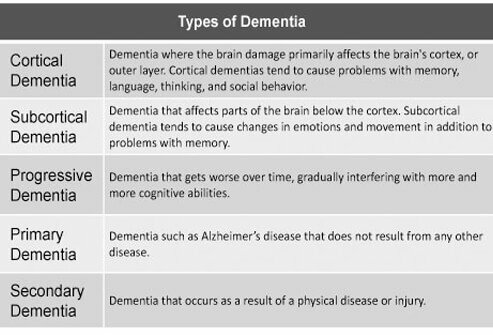 Damage to these areas accounts for the symptoms that separate frontotemporal dementia from other types of dementia. In general, frontotemporal dementia is caused by degeneration of nerve cells in the frontal and temporal regions of the brain. FTD can be caused by mutations on different genes, but about half of all FTD cases have no family history of dementia. Frontotemporal lobar degeneration is categorized by accumulation in the brain of a protein called tau and the protein TDP-43. 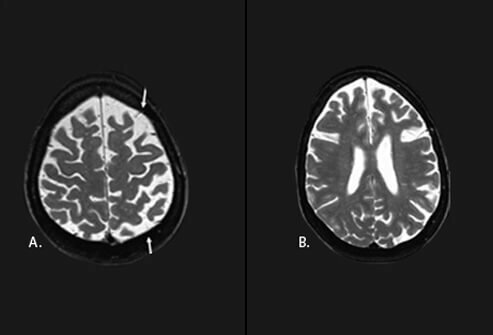 Some cases of FTD show abnormal tau protein-filled structures on the affected parts of the brain. Symptoms of frontotemporal dementia generally occur in younger patients in their 50s and 60s, and it is believed to account for 10% to 15% of all dementia cases. Behavioral changes appear early on in the disease with FTD, differing from the late onset in Alzheimer's disease. Patients may show extreme behavioral changes such as inappropriate actions, loss of empathy, lack of judgement, apathy, repetitive compulsive behavior, decline in personal hygiene, changes in eating habits, and lack of awareness. Patients may also suffer from impairment or loss of speech and language difficulties. Movement problems are also symptoms of FTD, but they typically occur in rare subtypes of FTD. Frontotemporal dementia cannot be cured and there is no effective way to slow its progression. There are medications that can help manage the symptoms. Antidepressants and antipsychotics may help patients ease their symptoms. After diagnosis, people with FTD typically live 6 to 8 years. Towards the final stages of the disease, the symptoms get worse and 24 hour care is required. HIV-associated dementia (HAD), also called AIDS-dementia complex (ADC), is a brain disorder caused by infection with human immunodeficiency virus (HIV), the virus that causes AIDS. HIV may damage the brain cells by damaging nerve cells with viral proteins or by infecting inflammatory cells in the brain and spinal cord. The exact cause is unknown. The main symptoms of HAD include impaired memory, lack of concentration, withdrawal from social activities, and speech difficulties. Medications to treat HIV/AIDS may delay the onset of the dementia symptoms. Highly active antiretroviral therapy (HAART) is effective in controlling HIV infection and protects many people from developing HAD. Huntington's disease is a genetic disorder that affects a person’s ability to think, feel, and move. Huntington’s disease is passed from parent to child through a mutation in a normal gene, which causes the degeneration of nerve cells in certain areas of the brain. Huntington’s disease targets cells within the basal ganglia, which coordinate movement and other important functions. Some patients may progress to show psychotic behavior. There is no treatment available to stop or slow the progression of Huntington’s disease. Doctors may prescribe medications to help treat the emotional and movement problems associated with Huntington’s disease. Huntington's disease begins earlier in life than other types of dementia, typically between the ages of 30 to 50. Life expectancy after onset of symptoms is between 10 to 15 years. 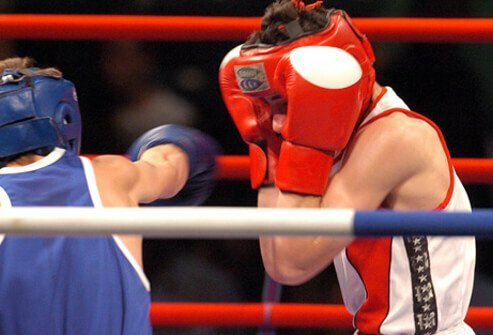 Boxer's syndrome, or dementia pugilistica, is a form of chronic brain injury that occurs in many athletes (particularly boxers) who experience constant blows to the head. Dementia pugilistica is caused by repetitive head trauma. Its name comes from symptoms experienced by boxers who have had years of being punched in the head. Patients may also experience memory problems. There is no treatment available to stop or slow progression of dementia pugilistica. Many of the medications used for the treatment of Alzheimer’s disease can also be used by dementia pugilistica patients. Corticobasal degeneration (CBD) is a loss of nerve cells (atrophy) in the cerebral cortex and the basal ganglia areas of the brain. 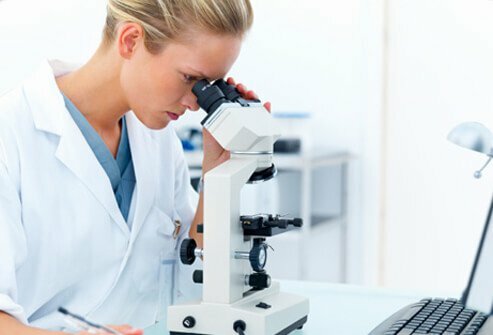 CBD shares similar symptoms of Parkinson’s disease. 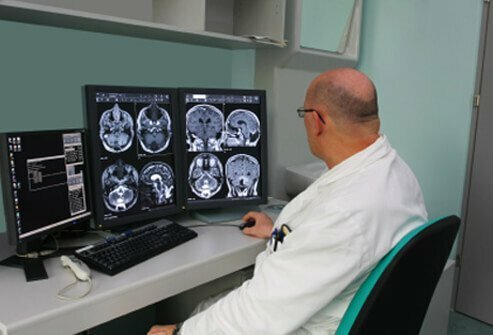 Researchers believe that many different factors contribute to the cause of corticobasal degeneration. Genetic mutations, factors related to aging, and environmental factors may play a role in the development of CBD. 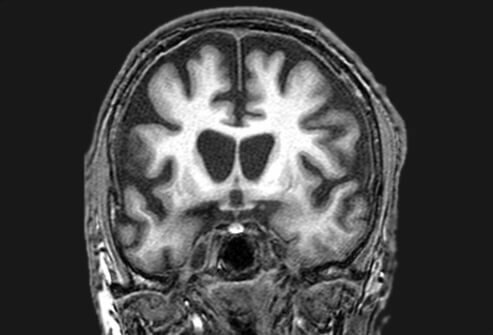 Symptoms of corticobasal degeneration have features of parkinsonism (poor coordination, muscle rigidity, and shaking), as well as Alzheimer's disease (memory loss, speech difficulty, and trouble swallowing). Patients with CBD deteriorate to the point where they can no longer care for themselves, and often die from secondary medical issues such as pneumonia or severe infection (sepsis). There is no treatment that can stop or slow the progression of corticobasal degeneration. Certain medications can help treat the symptoms of CBD. This progressive disorder worsens over the course of 6 to 8 years due to degeneration of multiple brain areas. Creutzfeldt-Jakob disease (CJD) is a type of human and animal disease known as transmissible spongiform encephalopathies (TSEs). 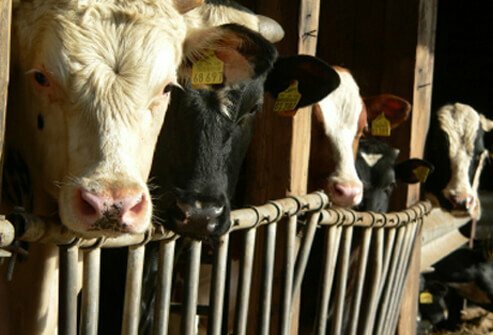 It is in the same family of diseases as bovine spongiform encephalopathy (BSE, or "mad cow" disease). There are three main types of CJD: sporadic, familial, and infectious. Eighty-five percent of cases are sporadic, with no known cause. Familial cases account for 10% to 15%, and are genetically passed on to family members. The remaining cases are infectious, resulting from exposure to an external source of the abnormal prion protein, such as in BSE. Creutzfeldt-Jakob disease is thought to be caused by an abnormal protein called a "prion." CJD is known as a prion disease and scientists believe that prions can unfold into abnormal three-dimensional shapes. This change triggers prion protein in the brain to fold into the same abnormal shape. These shapes in the brain end up destroying brain cells, but further research is needed. There is no treatment that can stop or slow the progression of Creutzfeldt-Jakob disease. Therapy and medications may help patients cope with their symptoms. It is estimated that 90% of people diagnosed with CJD will die within the first year. Dementia can also occur in children. 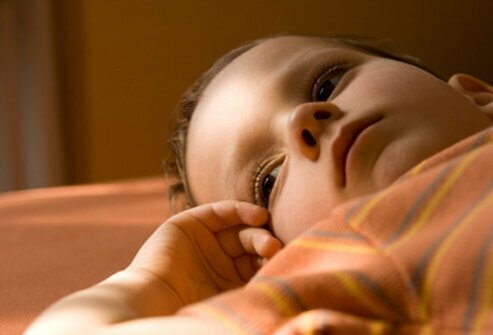 Though rare, there are some disorders that can cause the disease in pediatric patients including Niemann-Pick disease, Batten disease, Lafora body disease, and certain types of poisonings. Neimann-Pick disease is inherited and is caused by specific gene mutations. 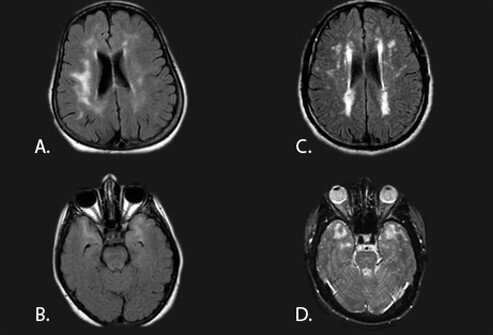 Niemann-Pick disease is a group of inherited disorders that causes problems metabolizing cholesterol and other lipids, which leads to excessive amounts of other lipids to accumulate in the brain. Batten disease is a fatal, hereditary disorder of the nervous system. Over time, children affected with Batten disease will suffer from mental impairment, seizures, and progressive loss of sight and motor skills. Children with Lafora body disease will have seizures, rapidly progressive dementia, and movement problems. Low oxygen in the blood (anoxia/hypoxia), either from a specific incident (heart attack, stroke, surgical complications), or chronic disease (heart disease, asthma, COPD/emphysema) can cause damage to brain tissue. Acute infections such as meningitis, encephalitis, untreated syphilis, and Lyme disease. Brain tumors or metastases from other cancers in the body. Thiamine (vitamin B1), B6, or B12 deficiencies, and severe dehydration. Acute traumatic injury to the brain such as a subdural hematoma. Side effects from medications taken for other medical conditions. Poisoning such as exposure to lead, other heavy metals, alcohol, recreational drugs, or other poisonous substances. All forms of dementia are the end result of either cell degeneration and death, or abnormalities impeding communications between brain cells (neurons). 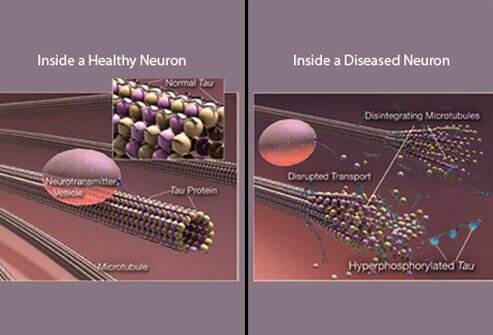 In many of the common types of dementia, abnormal proteins (or abnormal amounts of normally-occurring proteins) are found in the brain tissue on the microscopic level. It is unknown if these proteins cause dementia or if they result from the diseases themselves. While some types of dementia are hereditary, many are a result of a combination of genetics, environment, and lifestyle. Most often, dementia is diagnosed by exclusion, which means doctors rule out other conditions that can cause the symptoms that resemble dementia. Doctors will use multiple tests to conclude whether or not a patient has dementia. There is no known cure for dementia, but many patients may benefit from combination treatments. Medications for Alzheimer's disease and some other forms of dementia can improve symptoms and slow the progression of the disease. Cognitive training, such as memory training, note-taking, and computerized recall devices can aid in memory. Behavior modification can help control behaviors that may put the patient in danger. 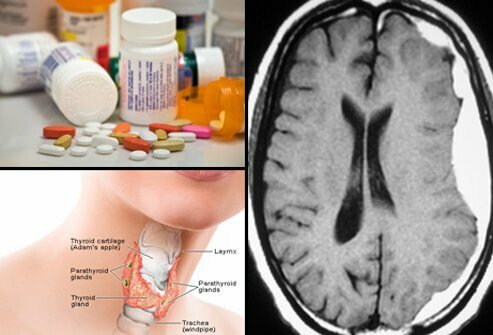 Another drug is memantine hydrochloride (Namenda XR), an orally active NMDA receptor antagonist used to treat moderate to severe Alzheimer's disease. Doctors may also prescribe other drugs, such as anticonvulsants, sedatives, and antidepressants to treat problems that may be associated with dementia such as insomnia, anxiety, depression, and sleep disorders. Because vascular dementia is caused by the death of brain tissue and atherosclerosis, there is no standard drug treatment for it. Drugs used to treat other atherosclerotic vascular diseases such as cholesterol medications, blood pressure medications, and anti-blood clotting medications, may be used to slow the progression of vascular dementia. In some cases, cholinesterase inhibitors and antidepressants may help improve symptoms associated with vascular dementia. For the rarer forms of dementia, there are no standard medical treatments. Cholinesterase inhibitors, such as those used to treat Alzheimer's disease, may reduce behavioral symptoms in some patients with Parkinson's dementia. 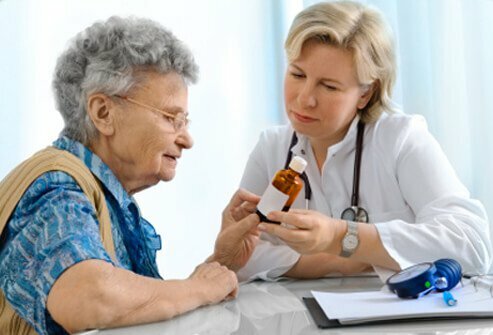 Frequently, medications are given to patients with dementia to relieve specific symptoms associated with their disorder. 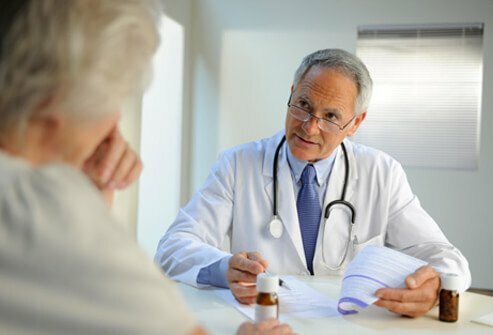 Doctors may prescribe other drugs, such as anticonvulsants, sedatives, and antidepressants to treat problems that may be associated with dementia such as insomnia, anxiety, depression, and sleep disorders. Further research is still needed in order to determine if dementia can be prevented. In some people, moderating known risk factors for dementia may help prevent or delay the onset of the disease. Patients with moderate and advanced dementia cannot adequately care for themselves and usually require around-the-clock care. Patients often do best when they are able to remain in a familiar environment such as their own home, when possible. It is very important to assess a patient’s driving skills if you are unsure if they are able to drive safely. Evaluations are available at the State Departments of Motor Vehicles (DMV). 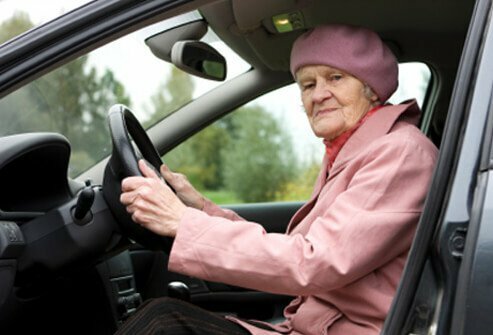 However, driving with dementia can be unsafe for both the driver, passengers, and those they share the road with. The patient with dementia may have slower reaction times, and can easily get confused or lost. It is up to the patient's family and caregivers to ensure the patient does not have the opportunity to drive a car when they are no longer able to drive. Research on dementia is ongoing. There is a lot of focus on new treatments to slow the progression of cognitive dysfunction. Other research is aimed at decreasing the progression and damage to the brain due to abnormal proteins (tau and beta amyloid). Researchers are also trying to identify the genes that may contribute to Alzheimer's disease and to develop drugs to modify these genes. Another area of research is trying to identify causes and treatments for inflammation to the brain, which is a key factor in Alzheimer's dementia. Research into the brain cells' utilization of insulin may lead to novel treatments for dementia. 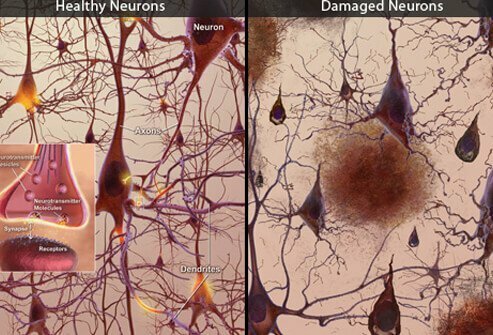 Alzheimer's Association: "Alzheimer's Facts and Figures", "Chronic Traumatic Encephalopathy (CTE)", "Creutzfeldt-Jakob Disease", "Dementia with Lewy Bodies", "Home Safety and Alzheimer's", "Vascular Dementia", "What Is Dementia?" Alzheimer's Foundation of America: "Life Expectancy." Alzheimers.org: "Genetics of Dementia", "Exercise and Physical Activity"
HelpGuide.org: "Alzheimer's and Dementia Prevention"
National Institute on Aging: "Types of Dementia"
National Institute of Neurological Disorders and Stroke (NINDS): "NINDS Corticobasal Degeneration Information Page." 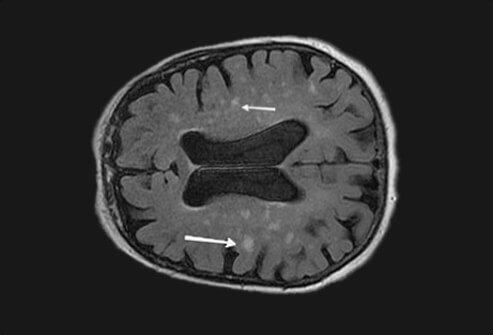 The Association of Frontotemporal Degeneration: "Corticobasal Syndrome"
The University of Texas Health Science Center at San Antonio: "Fast Scale Administration"
UpToDate: "Overview of Niemann-Pick Disease."